This post was written in coordination with guest blogger the mEAT Baron, who is perhaps Burma Superstar’s biggest fan and ardent ambassador. Isolated Burma and its cuisine aren’t well known in the U.S., but one restaurant and its satellites is working to change that. 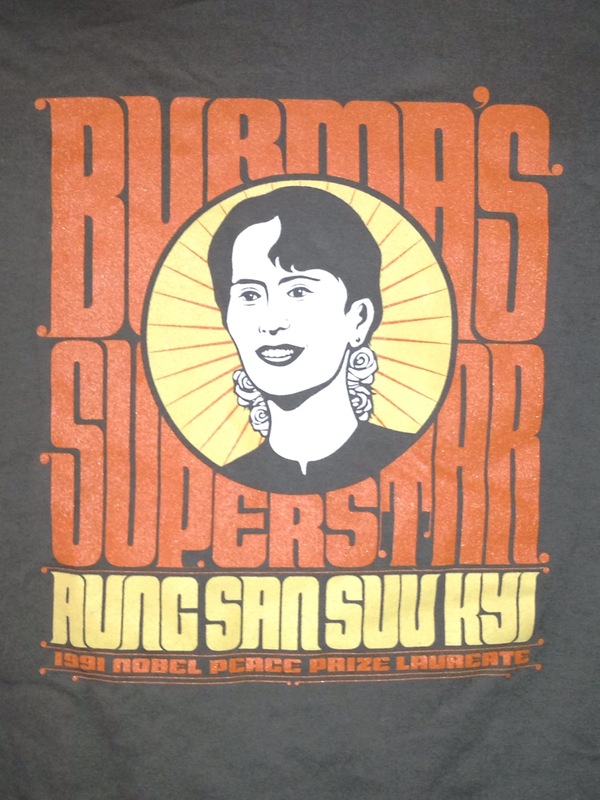 Burma Superstar of San Francisco transports one’s taste buds to the exotic flavors of southeast Asia. Visit any one of Burma Superstar’s four Bay Area locations – or its sister restaurant, B Star – and you’ll see why tables are often hard to come by, and even regulars wait for over an hour! Trust me though, it’s well worth the wait. While they don’t accept reservations, call ahead and get on their wait list if you’re on your way. Otherwise, take-out is also an option. Whether you are a local or visitor, make sure to stop in for one of their lunch specials (although the full menu is available) or for dinner – but try to go early! Your taste buds will thank you, as this is truly a San Francisco foodie experience that is well worth the wait. Each restaurant’s seating is fairly limited, so groups larger than four or five persons require a much longer wait time. We do recommend against going solo, however, because the dishes are perfectly sized for sharing and sampling. They also have large communal tables, which offer either the fun of meeting and mingling with others who are just stopping by, or an awkward dinner, depending on one’s personality and openness to adventure. What better way could you find to make new friends while enjoying exotic new dishes? After hearing endless praise for Burma Superstar from my friend the mEAT Baron, whom you may recall as a guest blogger for the Culinary Diplomat from his post about an Indian-inspired tandoori chicken recipe, I had to try this gem for myself. He proudly touts it as his favorite restaurant in San Francisco and as a true hidden gem. With that kind of endorsement, I had no choice but to try it! At first glance, you might recognize familiar flavors of other southeast Asian dishes – lime, mint, chili, peanuts, garlic, ginger, tea, pork, coconut, eggplant, basil, and others typical of various dishes from neighboring countries, such as Thailand, Indonesia, China, India, and Laos. Noodles, rice dishes, and soups may look familiar, but the combinations will bring new life to your favorite Asian flavors. 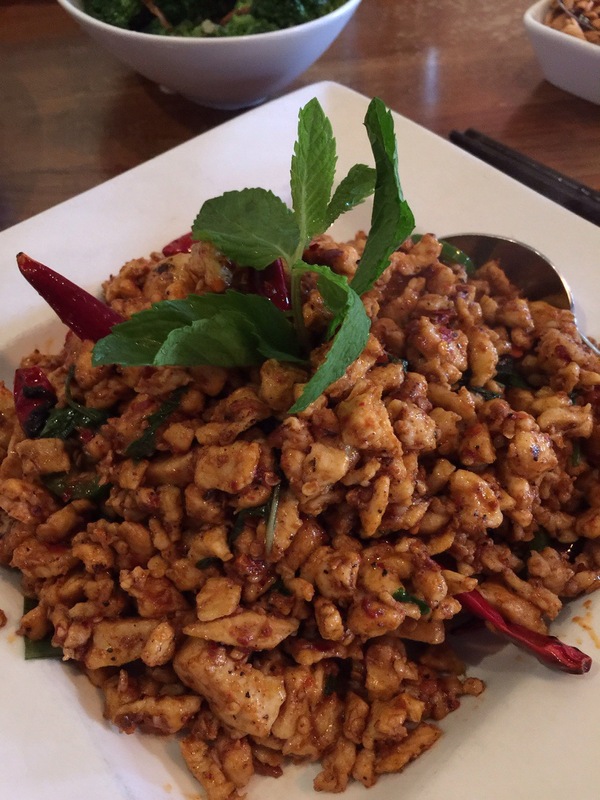 The restaurant also is sympathetic to any dietary needs or restrictions, so don’t be shy about asking for your dish to be prepared to your liking – even if that means extra spicy. 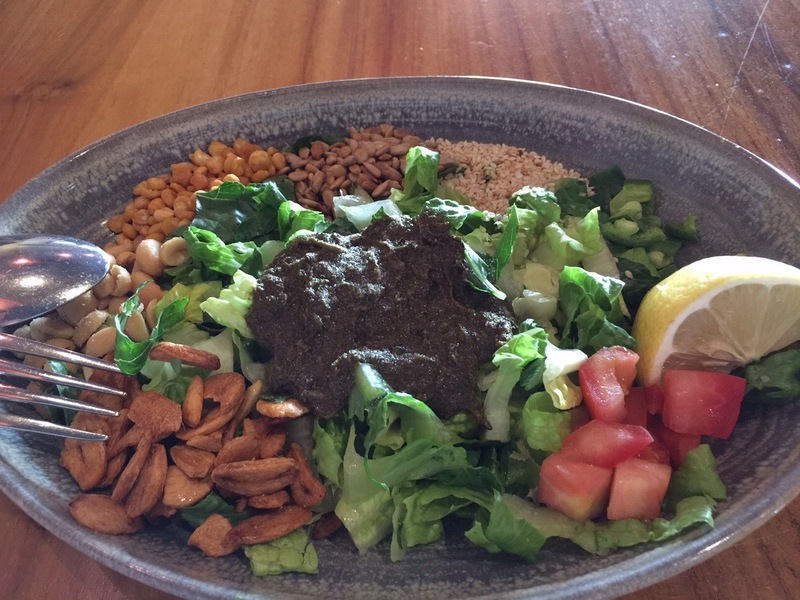 An absolute must-try at Burma Superstar is the tea leaf salad. A vibrant mix of textures, ranging from crisp romaine lettuce to crunchy fried garlic, sesame seeds, tomatoes, jalapenos, and peanuts – all flavorful in their own right – but then add Burma Superstar’s special fermented tea leaf paste on top with some fresh lemon juice, and the salad becomes a transformative experience. Pungent, salty, and tangy, the tea leaves are reminiscent of a sharp bleu cheese. Servers mix the salad tableside, melding individual components into a refreshingly light and eye-catching starter unlike any other. 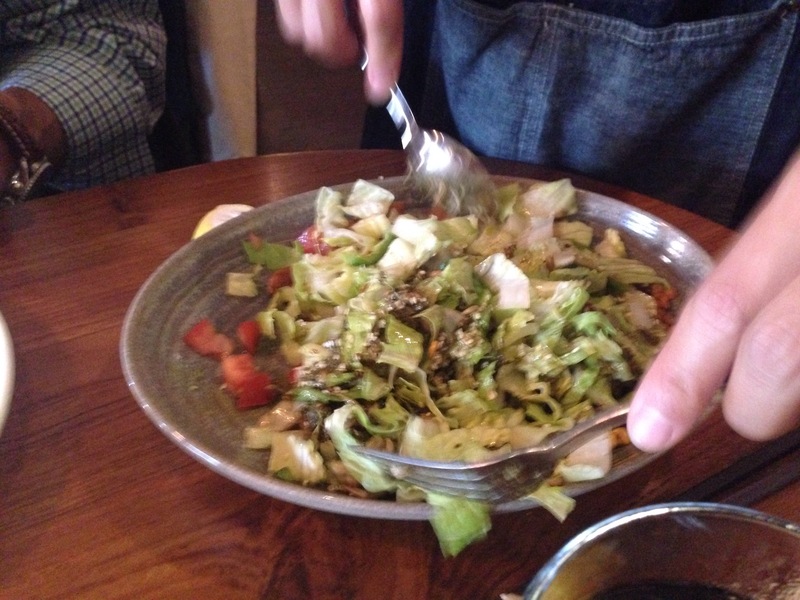 The traditional salad comes with dried shrimp but can also be ordered vegetarian. 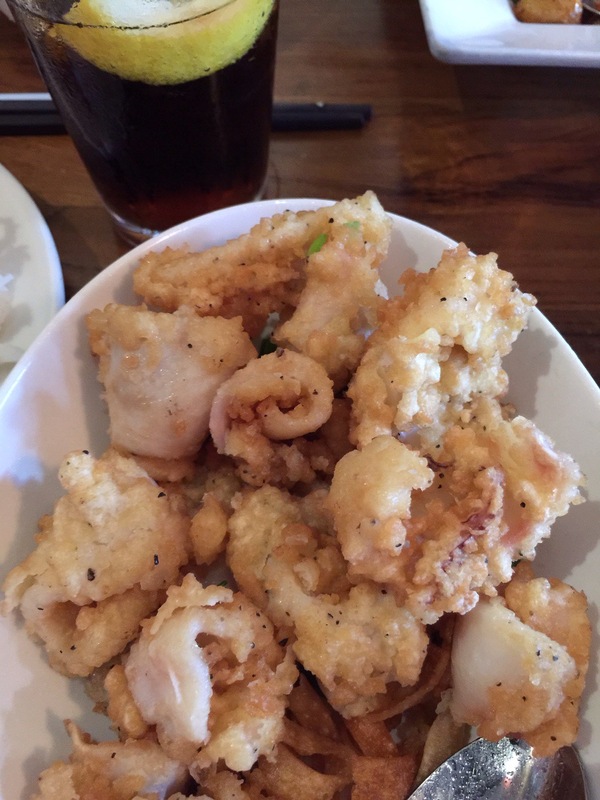 Their lightly fried salt and pepper calamari might sound run-of-the-mill, but it is nothing of the sort. A sizable portion, large enough for two persons to share as a full meal, it is tender, flavorful, and served with a sweet chili dipping sauce. The spicy mint chicken is an outstanding main dish – and was the mEAT Baron’s go-to entree of choice, always opting to request it extra spicy and with extra garlic. CD note: Spicy at Burma Superstar is truly spicy. Extra spicy might have killed me, so I’m glad I ordered no extra heat in my dishes. Packed with whole red chilis and garlic cloves, surrounded by minced chicken, and flavored with a light soy sauce, the mint chicken’s burn is slow but intense. The mint adds complexity to the unique flavor. 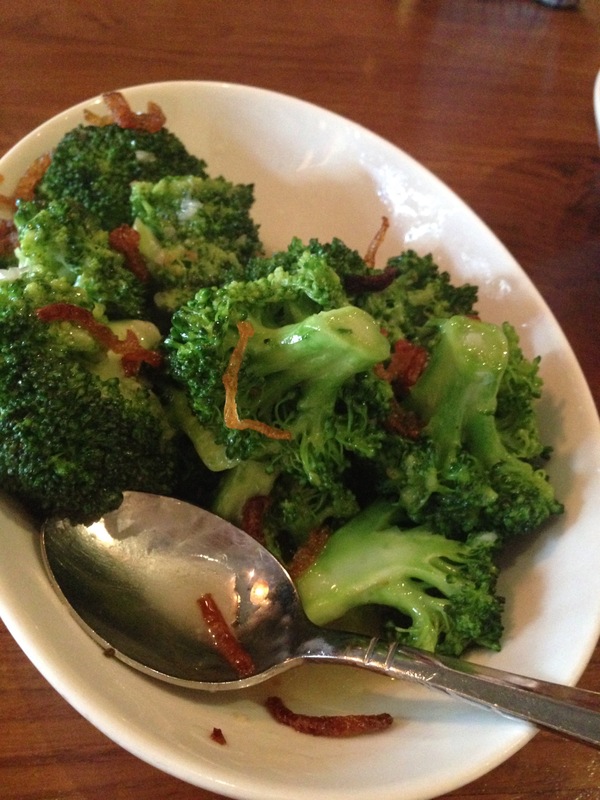 Ask for fried garlic on the side, which helps offset the heat. The fried garlic adds an entirely new layer of flavor to any dish without the bite of raw garlic. Tip: Order a whole coconut, which comes cored and complete with a straw to drink the sweet, cooling water. That healthy treat happily reminded me of the (much cheaper) coconuts that hydrated me throughout places such as Rio de Janeiro and Mysore (India). Garlic eggplant, sauteed in a wonderful sauce, as well as their white-wine and garlic steamed broccoli are great choices for both vegetarians and carnivores alike. Both are tender and full of flavor, and like most of their dishes, they are perfect for sharing – although they’re so good, you may want to have one all to yourself. I rarely eat dessert at East Asian restaurants, and on my visit, I was too full to order anything. The mEAT Baron, who does not live in San Francisco, is well known to Burma Superstar’s staff for his reputation for consuming the double portions of mint chicken – extra spicy, extra garlic, and no rice. They offered him complimentary coconut ice cream, and when he refused, the other two of us could not refuse a taste. It was unexpectedly thick and creamy, yet light with chunks of fresh coconut meat. I couldn’t stop after one bite. It was that good. Virtually anything you could try at Burma Superstar is a sure bet. If you’re confused on what to order, just ask the table next to you what they’re having or what they recommend. Everyone is friendly – both the wait staff and customers – and are eager to help. Take a short excursion outside of touristy Union Square to discover the hospitality and brightest food traditions of Burma at Burma Superstar!